Sunday 30 August Lang Park held it’s 2015 Trophy Day. 2015 C'ship U10 Team presentations. This year LP again had 4 teams in the U10 girls competition making up the largest club contingent in the competition. The U10 White team were made up of friends from St Ita’s Primary school. This was the second season for our girls and they did a fantastic job. ALL the girls love playing for Lang Park and taking part in the Green & Gold clinic (thanks Rob & Di!). Throughout the season each girl did a fantastic job of listening, trying their best. The girl's enthusiasm was infectious and our families were all equally wonderful. Our team is looking forward to coming back again! Working with the all the U10 girls this year was a lot of fun. The girls are full of life and energy. They were also a very competitive group who wanted to win. Focus for the year was simple skill development with lots of repetition and the girls were able to enjoy this aspect of learning the game. The girls all made significant improvements by applying themselves. Most importantly, the girls really liked training and playing together and having a laugh. Thank you to all the Under 10 girls for making it a fun year. The lone under 10 boys team was an interesting mix of ages (7, 8 and 9 year olds), experience levels and personalities. As you might expect it was a bit of a roller-coaster ride both on and off the court, but there were enough excellent games and some wins, punctuated with great team play, to keep the players and parents in good spirits, and the coach feeling like he was making progress. All the boys improved over the course of the season and are looking forward to 2016. For these awards Coaches of each team came forward individually with the two players they have nominated to receive their awards to much applause. Due to school & other commitments coach DAVIS & the team are able to attend today. They instead celebrated after their hard fought GF win. 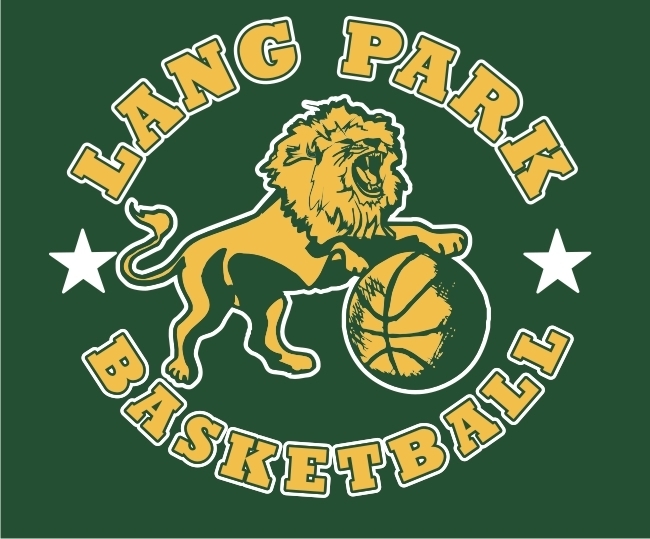 Acknowledge the many LP players that have also qualified and played representative basketball over the past year and those that have been selected to play in BBI rep teams for this upcoming rep season This includes those players from BBI reps teams and State teams. Once again LP has a large contingent of players participating in BBI junior rep teams. In addition the following LP players have also in the past year represented Qld or are in the state squads for this year. In addition to the large number of LP players in the BBI rep program LP coaches and parents have also contributed in a big way to supporting the BBI rep program through coaching and managing teams. Like to acknowledge their extra efforts. Chris was only 18 years old when killed in a car accident. He was not a highly skilled basketball player, but he was a quality person, always giving 100% in everything that he did. Chris never criticized team mates or opponents. He left his mark on the world in the short time he was here. Alistair has played with the club since u12, attends all trainings, has excellent fundamentals and is an outstanding team player. Presented by Pam Hamilton Smith (LP Bball – Girls Head Coach, Pam also runs the LP development program to introduce U10 year olds to basketball). In 2009 Basketball Australia presented her with the Junior Coach of the Year Award. Niamh has been a player at Lang Park through all her junior years and her dedication to her Team, her coach and the Club is outstanding. Now playing in the Club’s Div 1 U16 girls Team her sportsmanship is much appreciated by her Coach & teammates. Bronwyn was one of the girls coached by Pam Hamilton-Smith. She went to the Australian Institute of Sport, and then, thankfully, returned to Brisbane to play basketball which is rather unusual today. Bronwyn was an Australian and Olympic representative. Charlotte continues to improve and grow as a player. 2015 saw her feature as a pivotal player in the Club’s U16G Div 1 Team, BBI’s U16G Gold Team and at Qld State Team trials. Charlotte has now been selected in the BBI U18G Gold Team and is continuing to work hard to improve her skill level. Presented by Bob Young – a founding member of Lang Park and our PCYC, with many dedicated years as a coach, committee member, player and mentor. Bob is one of the founding fathers of the Club and has been closely associated with Lang Parks activities ever since. Over the past 40 years he has been active at Club, Brisbane, Queensland and Australian levels. He was the coach of the Brisbane Bullets in the very first year Brisbane played in the NBL. There are few people who have given so much of their time, talent and love to the sport of Basketball. Quincee Fepuleai has played with Lang Park for 2 years . He is silky smooth, has great anticipation, great attitude. Was 14 Gold rep as bottom age player and u16 Gold rep as bottom age player. Presented by Wally Lewis, another one of our long respected Lang Park founding Father’s, Wally has been a major steering mentor for Lang Park and Brisbane basketball. Wally is a founding father of the Club, with Bob Young and Bryan Shephard. He represented Brisbane in his early years, and was an Australian referee. He coached at state level in both men and women. Wally has been a valuable member of Lang Park since its inception. Tyrese is Quincee’s older brother and he has played with LP for 2 years. Played in u16 South Qld team which came 3rd earlier this year. Tyrese’s rolled his ankle so his season was cut a bit short and he is currently recovering. At top age U18 Jessie was an important player in the BBI U18 girls Gold Team which won the State Titles in 2015. 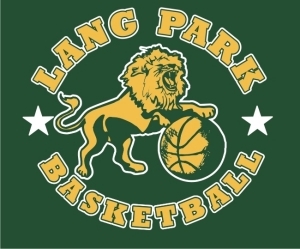 After those Championships Jesse stepped up to Senior ranks for the Club and has featured strongly in the success of Lang Parks GBL Gold Women’s Team. A hard worker, a reliable and dedicated team member, and a long standing LP Junior, it is a pleasure to give Jesse this award. 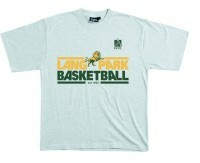 Bryan was a co-founder of Lang Park Basketball Club. He was probably the most qualified and experienced manager in basketball. He completed and conducted many courses in sports medicine and managed at all levels, including many years for the Bullets in the NBL. For these reasons he was very much sought after in both Basketball and Australian Rules. In 2015 Kylie has acted as Manager of an U12 Boys Team in the BBI comp, an U11 Boys Team which represented the Club at the U11 Championships, and was also a Manager for U12 Boys in the BBI representative program. Always cheerful and willing to be involved, Kylie is also known for being very well organized, an important part of a Manager’s role. This award was instigated by the late Margaret Fitzgerald to show her appreciation to the Coaches of Lang Park. All four of Margaret's children played for Lang Park for several years. The Club presents this award each year to honour a Coach who has had a longstanding commitment to the Club in a Coaching capacity achieving respect of players and Club members. Returning to the Club after a break away Lavi has had an outstanding year coaching the U16G Div 1 Team. Known for her effective training sessions and expert side line coaching Lavi has taken the girls to the Grand Finals in 2015. Vince Hickey was a co-founder and the first coach of Lang Park. Vince played and coached for Brisbane and Queensland and imparted his wealth of knowledge to many now well qualified coaches throughout the State, including many at Lang Park. He was given a life membership of BBI and is remembered lovingly by having the Brisbane basketball stadium renamed to perpetuate his memory. His award is for leadership, commitment and contribution to Lang Park Basketball..
Josh is a long standing Coach at Lang Park, not because he has children playing at the Club but because he loves our sport and is a great supporter of Lang Park. At present Josh is in charge of the U10 Boys program and is doing a great job in an important development area. But Josh is also one of those coaches who is happy to coach where the Club has a need. In 2015 Josh was also Coach at the Green & Gold clinic, and he was always available & willing to help out at any Club event. 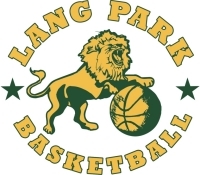 The Lang Park Basketball Club welcomes all members of a family to participate in the conduct of the Club. Each year the Club acknowledges a family who have shown a high level of contribution and commitment to the Lang Park PCYC Basketball Club. All of the family are involved and even to the extent that both Bill and Nicola have volunteered their time to coach with teams their children are not on. Neil called on President Sue to close the presentation who thanked Neil, Josh Mortensen(photos), Presenters and all helpers on the day. All attending were then invited to participated in our sausage sizzle and jumping castle for the children.